Over 300 effects for YouTubers. There are quite a few different reasons for which you might want to consider removing your YouTube video. From outdated content to mistakes in editing – the reasons are quite extensive. In the part 1, we will teach you how to remove your own videos on YouTube and things you should note when removing. The part 2 will tell you how to remove the videos from other YouTube channel. If you need more advanced features like PIP, Green Screen, or audio mixing, check this easy to use and powerful video editor- Wondershare Filmora , and ignite your video by clicks. The first thing that we are going to show you is how to remove your own videos. This might be needed if you have uploaded content quite some time ago and it is already outdated. Or, if you have too many videos on your channel and you need to clear up those who aren't that interesting. The fact of the matter is that it's quite easy to remove YouTube videos. The first thing that you would need to do is going ahead and hop on the website and log into your account. Afterwards, you need to go to the “My Channel” option and click on the “Video Manager”. Upon doing this, a new page is going to pop up, and you are going to see a list of all the videos that you've uploaded. There are little tick boxes on the left side which you can click in order to mark. Mark the videos that you want to edit and click on the “Actions” button on top. There is going to be a drop-down menu, and you can click on the delete option to remove the video permanently. Furthermore, you can also hide the video if you don't want to delete it but only to hide it away from your subscribers. In order to do so, you should simply click on the Private or Unlisted button. That's pretty much it – there's nothing further to it, and the entire thing is rather comprehensive and easy to carry out, which makes it convenient to go through. 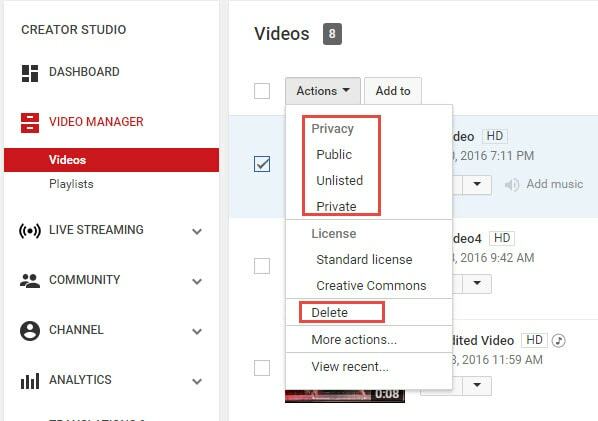 Now that we've covered how to remove videos from your own channel, it's time to dig a little bit deeper. There are certain instances in which you might want to remove YouTube videos from other channels as well. The reasons for this are usually rather personal. For instance – someone has uploaded a video including you or something yours without your consent, and this harms your reputation. Furthermore, it may display sensitive information that you don't want to reveal to anyone else – the reasons are rather different, but they are related to your own individual privacy which is an important legal right. The first thing you can do is contact the person who uploaded the video and kindly asks him to remove it using the procedure that we described above. This is going to be the best choice because it's going to achieve the result quickly and without any hassle. However, in certain cases, the person might not be active, or he might disagree with you and keep the video posted. If that's the case, you have one option which is likely to be the best alternative. You need to report the video as an inappropriate and flag it with the remark that it's invading your privacy. This is going to lead you to the page of the YouTube Safety Center. You will have to explain the issue in details in a six-step wizard which extensively asks you about how the video is invasive to your privacy rights. The process is quite comprehensive, and it's easy to go through. However, you will have to wait for the YouTube support team to assess it and make the decision for the removal. The truth is that being able to remove YouTube videos is something important that you should be able to do. It's going to ensure that your channel is perfectly updated, aligned and structured while at the same time making sure that everything is in line with your privacy. 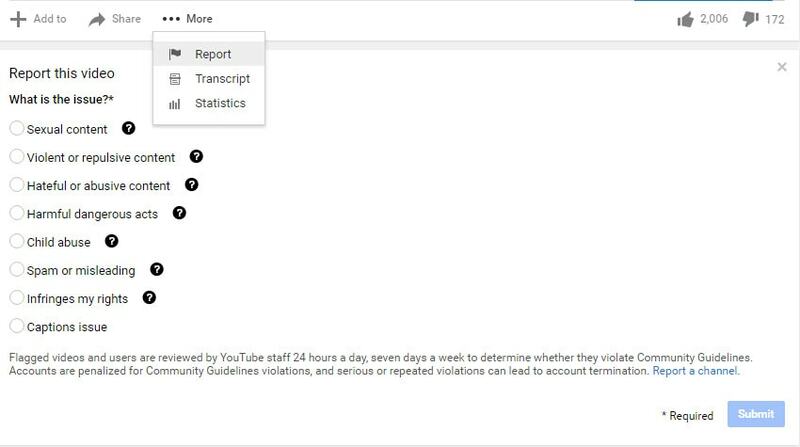 YouTube is a powerful website, and you need to be able to stay in control in order to be protected.